An outdoor kitchen area is the perfect space for backyard entertainment and relaxation. 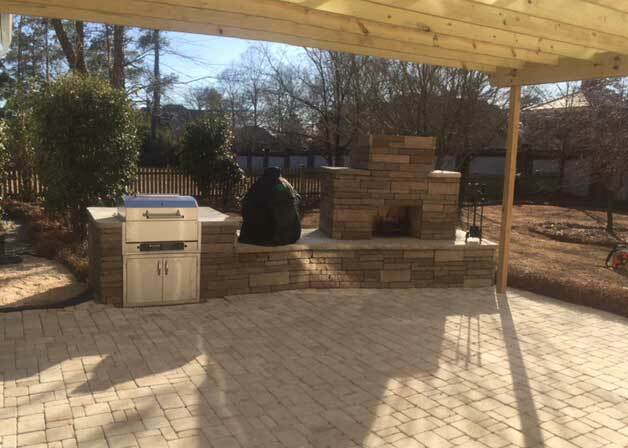 Enjoy a perfect meal among friends cooked to perfection with an outdoor kitchens installation from Elks Lawn Care & Landscaping in New Bern, Havelock, Atlantic Beach NC. 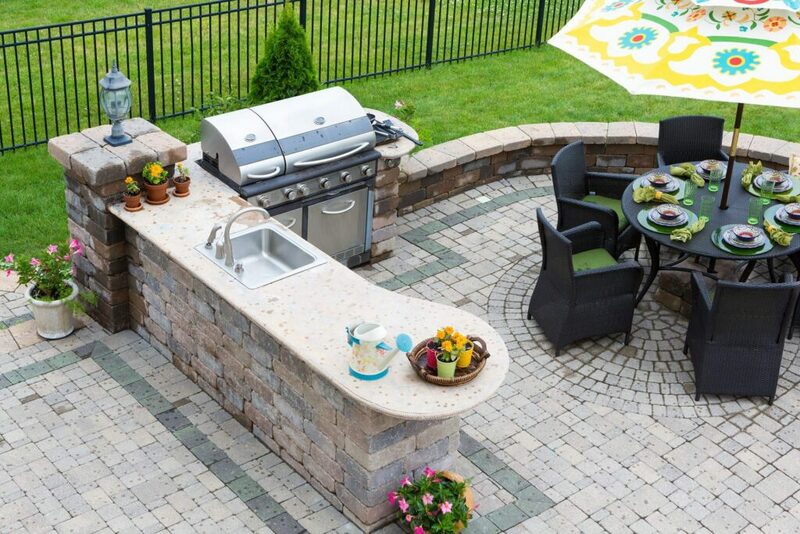 Our outdoor kitchen installers have the experience you want to handle your outdoor kitchen design and installation services and always use the highest quality products and materials for all of our hardscape projects. Elks Lawn Care will consider your existing landscaping when providing outdoor kitchens installation services, and offer a variety of hardscape features to compliment your outdoor kitchen, including paver patio and pool deck installation, water features, fireplaces and fire pits, outdoor lighting, and retaining wall design and installation. For the very best outdoor kitchens installation and design services, contact the outdoor kitchen installers at Elks Lawn Care. When you contact Elks Lawn Care for outdoor kitchens installation services, we always start with a custom outdoor kitchen design. 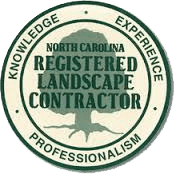 Our landscape architects take the existing design of your landscaping as well as your specific needs to determine exactly what is needed. Our outdoor kitchen installers will display a variety of options for outdoor sinks, outdoor grills and burners, and other outdoor kitchen features. All of the options we provide will utilize the highest in industry equipment and materials available to ensure your outdoor kitchen is the space of your dreams and will stand the test of time. Once your outdoor kitchen is installed, Elks Lawn Care and Landscaping offers landscape maintenance packages to keep your yard looking great. For all of your landscape needs including outdoor kitchens, contact the outdoor kitchen installers at Elks Lawn Care & Landscaping. If you are considering an outdoor kitchen or other hardscape addition, contact the outdoor kitchen installers at Elks Lawn Care. Our team will provide a custom outdoor kitchen design and outdoor kitchen installation services to meet the most discerning needs. Contact us online or call 252-229-0677 for a no cost no obligation consultation on outdoor kitchens in New Bern, Emerald Isle, Beaufort, Jacksonville, Havelock, Cape Carteret, Atlantic Beach, Morehead City, Greenville, and nearby service areas.